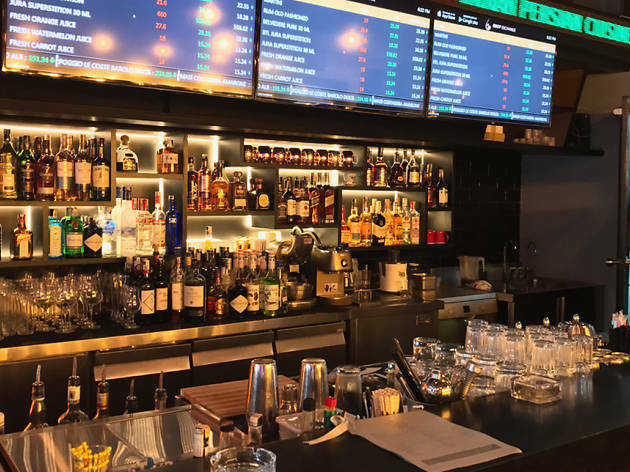 Drop Exchange is a Wall Street-themed bar and restaurant that serves Persian and North Indian cuisine. Go figure. 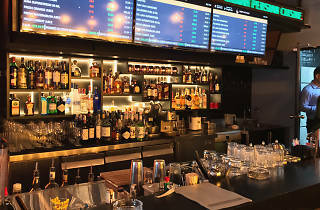 Oddly paired ideas aside, this place has plenty going for it, not least the prices of drinks and spirits that fluctuate on a stock exchange-like board (there’s even an app on the Apple App Store that helps you keep track of the prices). 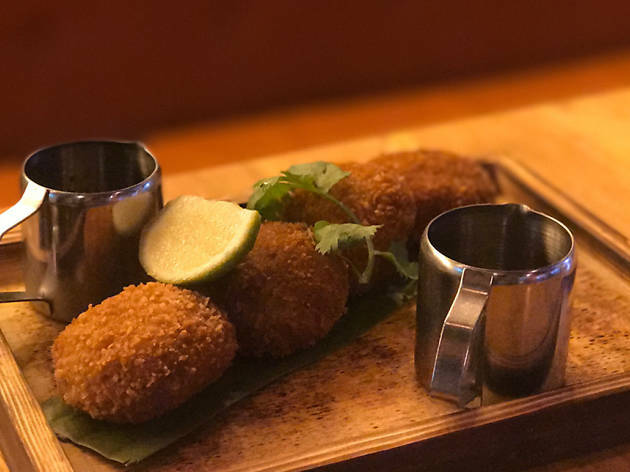 Drinks aren’t the only draw here, however, as founder Payal Gautam is determined to introduce KLites to true Indian cooking, using authentic recipes from Bombay chefs and their grandmother’s kitchens, as well as importing almost half the spices used in the dishes from India. 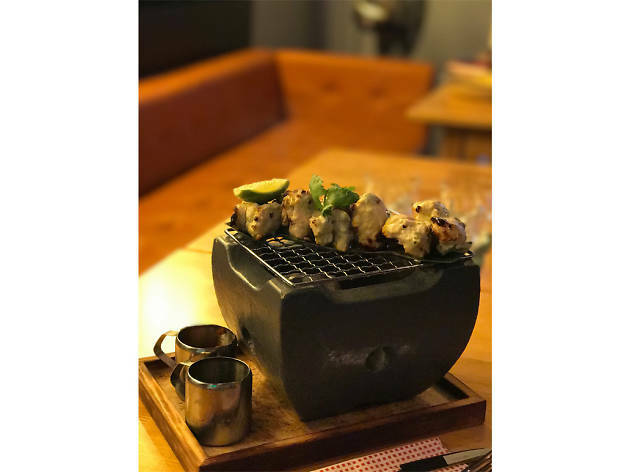 You won’t go wrong by sticking with the Northern Indian dishes you know: the Rogan Josh has a richer and deeper flavour than what is served at other Kashmiri eateries; and the Chicken Chargrills (chicken marinated with cream cheese cooked over a charcoal tandoor) are tender little chicken bites. 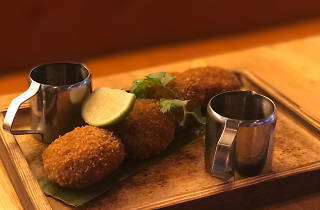 However, it’s the traditional spice-laden dishes and breads that stand out: the Cutlis, vegetarian cutlets made with green coconut chutney, captures the spirit of Parsi cuisine in one spicy green bite, and the rumali (which means ‘handkerchief’ in north India) bread is worth eating on its own – or to mop up the curries, chutneys and sauces clean off your plate.